There are endless documentaries that explain the clever technology that allowed World War I fighter planes to fire their machine guns through their propellers without hitting the blades. 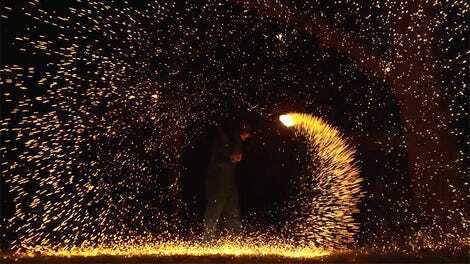 But The Slow Mo Guys use their high-speed cameras so you can finally see exactly what’s happening. Developed by a few countries, but first installed in a single-prop plane by the Germans in 1915, the synchronization gear worked alongside the aircraft’s motor to prevent a machine gun from firing while the propeller was in a position that put it at risk of being hit. By only firing when the propeller’s blades weren’t in its crosshairs, there was less risk of the machine guns on these classic planes turning their props into sawdust. But why put the machine guns up there anyways? By mounting the weapons right in front of the plane’s pilot, it greatly increased their accuracy and targeting when it came to dogfights. But due to the constantly changing speed of spinning propellers and firing rate of early automatic machine guns, the system wasn’t perfected until the German aviation pioneer Anthony Fokker developed the Fokker synchronization gear that instead fired the machine gun when it was safe to do so, giving the Germans a short window of air superiority until other nations also improved the technology. 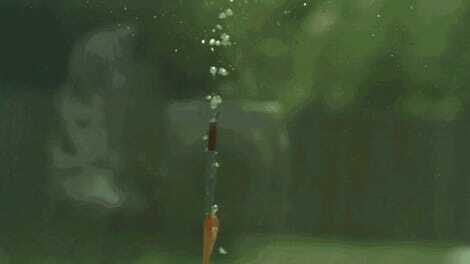 The Slow Mo Guys also show what happens when the synchronization gear is disengaged. 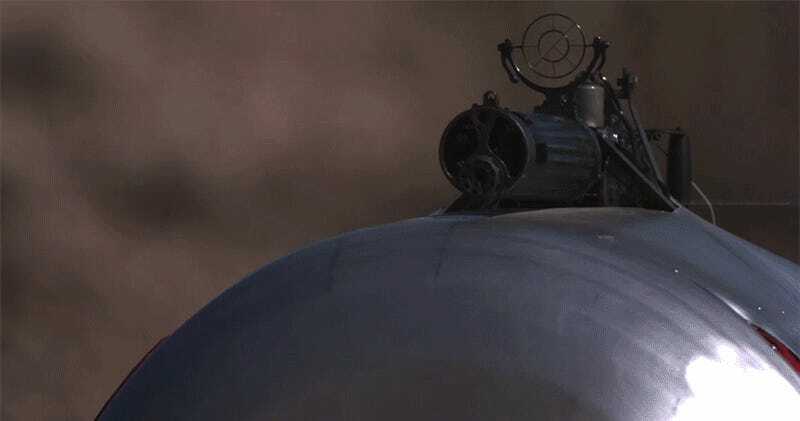 The propeller randomly gets hit by the machine gun, and slowly starts to collect bullet holes until it disintegrates in mid-air, although the slow motion video was all filmed safely on the ground. Correction Nov. 22 9:03 a.m.: Anthony Fokker was actually Dutch, not German, having been born in what is now Indonesia while it was a Dutch colony, but then moving to the Netherlands with his family when he was four years old. After school, he eventually moved to Germany where he started designing planes and other aircraft innovations.